By the time you're reading this, the runners will be well into their trek north from At-tuwani in the South Hebron Hills. Palestine is seven hours ahead of EST, so you'll be receiving the news of their previous day's run on the following morning. In the second installment of the series, the runners travel south from Jerusalem to the small hillside community of At-Tuwani. On the day before the run begins, the runners plant 500 olive saplings with the villagers & forge a bond with their welcoming hosts. Please watch the video & use this link to share the video on Facebook & elsewhere! 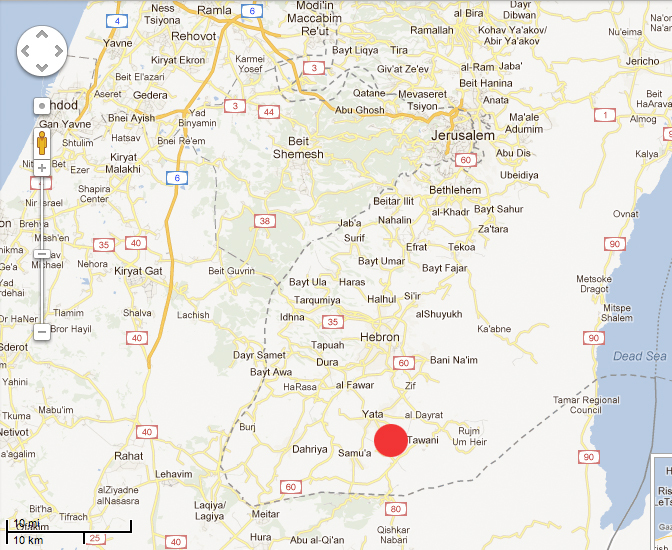 The team arrived in At-Tuwani yesterday — about half a mile from an Israeli settlement & an hour’s drive from Jerusalem. Jacob Wheeler, one of the journalists on the team, reports: "The contrast between the old bazaars & tourist hotels of the Holy City & At-Tuwani is incredible. Here the hilly landscape resembles a rocky moonscape, & here some residents still live in caves." See the route here. Accompanying the team was a truck loaded with 500 donated olive saplings. 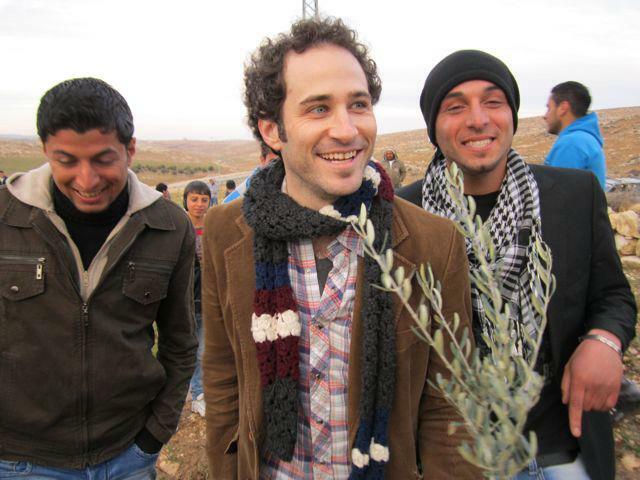 They were led to an open field where Americans & Palestinians alike worked together to dig holes & plant the olive trees. They’ll mature in 15 years, says Wheeler, & "they'll feed & provide an export crop for generations of Palestinians, as long as they are not uprooted." 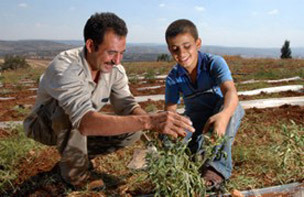 Trees for Life gives thousands of olive trees to farmers, including many whose trees or lands have been destroyed by Israeli forces. In five years, the project has planted almost 50,000 trees! Solely funded by grassroots movements abroad and soley invested in the Palestinian fair trade movement, Trees for Life helps offset the enormous destruction of olive trees by the Israeli occupation army in Palestine. We're looking forward to hearing all about the runners' first day! Watch your inbox around 10 AM Sunday for more of the good word from Palestine.